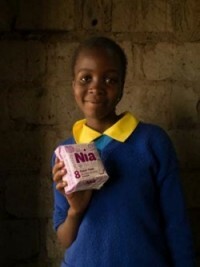 Toronto, Canada – ZanaAfrica Group, a hybrid social enterprise based in Nairobi, Kenya, has secured a major investment catalyzed by Grand Challenges Canada (which is funded by the Government of Canada) to expand women and girls’ access to safe, affordable sanitary pads, and related health education. ZanaAfrica’s first investment capital, totaling CDN$2.4 million (US$1.9 million), places them in a small pool of social enterprises that are successfully transitioning from proof-of-concept grants to investment. A $1 million loan provided by Grand Challenges Canada is being matched by a blend of investments and donations from the private sector, including TripAdvisor and Stewardship Foundation, with $400,000 secured via foundations and another $1 million anticipated. This new funding will allow ZanaAfrica to scale up the production of sanitary pads, drive sales growth, and integrate impact evaluation in education and health into its delivery channels. The company is on track to reach 150,000 beneficiaries through its pads and underwear sales by the end of 2016. This financial injection, combining funds from the Government of Canada and resources of private investors, will bring sanitary pads and accurate health information within reach of rural and urban low-income women and girls now hindered by limited availability and excessive costs. Led by Megan Mukuria, a strong advocate for menstrual health management and Ashoka Fellow, co-Founder Dr. Lawino Kagumba, and a diverse team of women, the company’s product line includes both disposable and reusable pads, coupled with underpants, and aspirational comics on diverse topics. ZanaAfrica has developed a tiered distribution model that leverages social enterprises and community health workers (CHWs) alongside traditional channels, such as supermarkets and road-side kiosks, to put affordable pads within walking distance of the girls and women who need them most. With a Phase II Grand Challenges Exploration grant, co-funded between Grand Challenges Canada and the Bill & Melinda Gates Foundation, the company achieved proof of concept. Their inaugural product Safi saves women 75% in daily out-of-pocket expenses and increased CHWs’ pad sales over 1,000% in a pilot with Marie Stopes Kenya, while helping women earn up to three times more than from other pad products. Their new back-to-school kit for girls promises to double the percentage of girls reached and is a real value for money for families or organizations buying for girls. Health-related education, including comics and policy programming, are led by ZanaAfrica Foundation CEO Gina Reiss-Wilchins to create lasting systems change. Since November 2013, ZanaAfrica’s community-based sales have seen 300,000 disposable and reusable pads sold, reaching approximately 20,000 customers of whom 35% are girls. The program is revolutionizing female health and empowerment in Kenya, and brings together the passion to help women thrive, while creating sustainable economic benefits throughout the supply chain. Menstrual health is central to each woman’s ability to lead lives of dignity and well-being in every part of the world. Yet, lack of access to affordable feminine hygiene products is a widely overlooked issue, which has a profound and cascading negative impact on the health, education and productivity of millions of girls and women, especially in emerging economies. In East Africa, four in five women do not have regular access to sanitary pads or related reproductive health education. In a region where over 40% of females are under the age of 15, this is a rapidly escalating problem. A school girl without pads can miss up to six weeks of schooling every year and be inattentive in class, increasing her likelihood of dropping out and harming her chances to become a full and productive part of society. In later life, many women lose valuable work hours and thus incremental income because they cannot afford pads. This perpetuates the cycle of poverty. Many women and girls without access to sanitary pads are forced to repeatedly use the same unsterilized cloth during menstruation, which they are often unable to dry fully, or they resort to other ineffective and unhygienic alternatives, such as newspaper, rags of cloth, bark, ashes, banana leaves or hay. All too often, these alternatives lead to short- and long-term health risks, such as reproductive tract infections which, when untreated, have negative long-term consequences, such as an increased chance of getting STDs or HIV due to immunosuppression, or high-risk pregnancies and births. Adolescent girls, in particular, often lack relevant reproductive and menstrual health information needed to answer questions and make informed decisions. Across East Africa, there is no system to deliver critical and accurate health information, inside or outside of school, in a scalable, standardized and comprehensive way. Cultural taboos and discomfort often get in the way of in-person adolescent health education programs. ZanaAfrica solves this problem through incorporating fun, interactive comics in pad packages for girls. Tested for behaviour change and health outcomes, all products are developed with girls using human-centered design. In this way they meet the demand for affordable, accessible and aspirational sanitary pad products, along with menstrual health education for girls. Government of Canada funds come from a $10 million strategic partnership between Grand Challenges Canada and the Department of Foreign Affairs, Trade and Development Canada (DFATD) to accelerate the scale-up of highly promising innovations that improve health in the developing world. Selected innovators also access technical and business support, along with other resources to accelerate their growth. 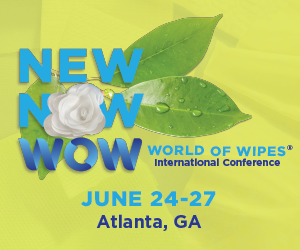 The new funding was announced during the 21st Biannual Conference of the Society for Menstrual Cycle Research, where global industry leaders and innovators gather to discuss ideas, and work to achieve empowerment and social justice for women and girls everywhere by heightening menstrual health awareness, education, research and services. Ms. Mukuria is leading a plenary panel on “Menstrual hygiene management campaigns across the globe” that features Grand Challenges Canada’s work to fund sustainable enterprises. For more information, visit www.grandchallenges.ca and look for us on Facebook, Twitter, YouTube and LinkedIn. Grand Challenges Canada is dedicated to supporting Bold Ideas with Big Impact® in global health. We are funded by the Government of Canada; we support innovators in low- and middle-income countries and Canada. The bold ideas we support integrate science and technology, social and business innovation to find sustainable solutions to health challenges – we call this Integrated Innovation®. Grand Challenges Canada focuses on innovator-defined challenges through its Stars in Global Health program and on targeted challenges in its Saving Lives at Birth, Saving Brains and Global Mental Health programs. Grand Challenges Canada works closely with Canada’s International Development Research Centre (IDRC), the Canadian Institutes of Health Research (CIHR) and the Department of Foreign Affairs, Trade and Development Canada (DFATD) to catalyze scale, sustainability and impact. We have a determined focus on results, and on saving and improving lives. The mandate of Foreign Affairs, Trade and Development Canada (DFATD) is to manage Canada’s diplomatic and consular relations, to encourage the country’s international trade, and to lead Canada’s international development and humanitarian assistance.